You will find below the horoscope of Barbara Mori with her interactive chart, an excerpt of her astrological portrait and her planetary dominants. Horoscopes having the same aspect Venus square Uranus (orb 0°09'): Angelina Jolie, Diana, Princess of Wales, Elvis Presley, Prince (musician), Soeur Emmanuelle, Robbie Williams, Tyra Banks, Russell Brand, Yannick Noah, Jean-Claude Van Damme, Pope Francis, Arielle Dombasle... Find all the celebrities having this aspect. Horoscopes having the same aspect Mercury opposite Mars (orb 0°22'): Zayn Malik, Ludwig van Beethoven, Christina Ricci, Nina Simone, Ice Cube, Alice Cooper, Steffi Graf, Bénabar, Gérard Darmon, Henri de Toulouse-Lautrec, Solenn Poivre d'Arvor, Richard Gasquet... Find all the celebrities having this aspect. Celebrities born the same day: Shakira, Farrah Fawcett, Christie Brinkley, Mike Brant, Gerard Piqué, Christiane Taubira, Gemma Arterton, Valery Giscard d'Estaing, Ayn Rand, James Joyce, Charles-Maurice de Talleyrand, Marie-Claude Pietragalla... List of all the celebrities born on February 2. Celebrities clicked on in real-time: 576,049,330 times. Bárbara Mori (Spanish pronunciation: ; born Bárbara Mori Ochoa on February 2, 1978 in Montevideo, Uruguay (birth time source: http://www.oem.com.mx/laprensa/notas/n3496905.htm) is an Uruguayan-born Mexican actress, model, producer and writer. Mori started her career in 1992 as a fashion model at the age of 14, later she became an actress when she co-starred in 1997 on the smash TV-hit Mirada De Mujer with TV Azteca; then, she starred in the soap opera Azul Tequila. Her big break came in 2004, with the telenovela Rubí (a remake of the 1968 series) by rival network Televisa, in which she played the main character. She also has starred in several self-produced films and music videos. Here are some character traits from Barbara Mori's birth chart. This description is far from being comprehensive but it can shed light on his/her personality, which is still interesting for professional astrologers or astrology lovers. 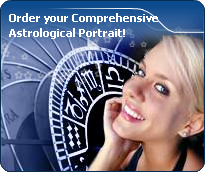 In a matter of minutes, you can get at your email address your astrological portrait (approximately 32 pages), a much more comprehensive report than this portrait of Barbara Mori. Barbara Mori, the diurnal South-eastern quadrant, consisting of the 10th, 11th and 12th houses, prevails in your chart: assertion and goals achievement are at the centre of your concerns. You are very keen to implement your dreams and your plans. You achieve your ambitions as soon as possible, whether through an active social life, highly charged friendly relations, or an urge to take actions in order to reap - in the eyes of the world, of course - the rewards of your dynamism. It is likely that spirituality or humanitarian actions are part of your motivations, sometimes at the price of some degree of isolation. Barbara Mori, Fire is dominant in your natal chart and endows you with intuition, energy, courage, self-confidence, and enthusiasm! You are inclined to be passionate, you assert your willpower, you move forward, and come hell or high water, you achieve your dreams and your goals. The relative weakness of this element is the difficulty to step back or a kind of boldness that may prompt you to do foolish things. Cheers for communication and mobility, Barbara Mori! The predominance of Air signs in your chart favours and amplifies your taste for relations and for all kinds of short trips, whether real (travels) or symbolic (new ideas, mind speculations). You gain in flexibility and adaptability what you lose in self-assertion or in pragmatism. Barbara Mori, the Cardinal mode is dominant here and indicates a predisposition to action, and more exactly, to impulsion and to undertake: you are very keen to implement the plans you have in mind, to get things going and to create them. This is the most important aspect that inspires enthusiasm and adrenalin in you, without which you can grow weary rapidly. You are individualistic (maybe too much?) and assertive. You let others strengthen and improve the constructions which you built with fervour. Your angular houses, namely, the 1st, 4th, 7th and 10th houses, are very emphasized in your chart, Barbara Mori: according to the Tradition, they are the strongest and most dynamic houses. Should the rest of your chart concur, angular houses suggest that you are an enterprising, energetic and assertive woman. Indeed, angular houses are said to generate impulsions and to give a powerful and domineering personality. The 10th, 4th and 8th houses are the most prominent ones in your birth chart. From the analysis of the most tenanted houses, the astrologer identifies your most significant fields or spheres of activity. They deal with what you are experiencing - or what you will be brought to experience one day - or they deal with your inner motivations. After this paragraph about dominant planets, of Barbara Mori, here are the character traits that you must read more carefully than the previous texts since they are very specific: the texts about dominant planets only give background information about the personality and remain quite general: they emphasize or, on the contrary, mitigate different particularities or facets of a personality. A human being is a complex whole and only bodies of texts can attempt to successfully figure out all the finer points. Your nature is optimistic and emotional, Barbara Mori, and you are caught up in two incompatible longings: you are fond of exoticism and independence of movement, but at the same time, you feel comfortable in a form of middle-class attitude and conformism; in general, it translates into a succession of moods, now quiet and well adapted to the situations you experience, now marked by an irresistible desire for change and revival. You have a good and naïve nature, with a lot of self-confidence. Your emotionalism prompts you to live intensely a variety of numerous emotional experiences, a bit scattered, but with all the stimulations you need to be a balanced person. Your pleasant and welcoming attitude wins you some degree of popularity, all the more so because, despite your thirst for adventures that may scare away some people, you adjust to your environment's customs so easily. You need to concentrate on a subject, Barbara Mori, to deepen your research and to follow your reasoning through with persistence and determination. You are the very type of the thinker who needs time and isolation to meditate at length and allow her serious, methodical and rigorous mind to show its worth. Your feet are firmly planted on the ground and to get your attention, ideas must be followed by implementation, for instance as in the case of mathematics applied to physics. You focus on the essential and you look at the world around you with clear-sightedness. You are not very talkative and you act with caution. You may come across as cold and ambitious even though your comments are always sincere and practical. However, be careful not to isolate yourself and to appear as a lofty and intolerant person. In love, you are more cerebral and friendly than really passionate, Barbara Mori. You are made for amorous friendships, for refined and light feelings where each partner retains one's freedom, and almost detachment, without getting really committed. Sometimes, you may be distant from, and indifferent to, love matters for a while, because you can be completely engrossed in original intellectual pursuits and the collective atmosphere which you are so fond of. You substitute a great number of friendly and light contacts to amorous relationships and it is fair to say that they satisfy you. To fall in love, you need spice and a partner who is original, who amazes you and whom you admire; under such conditions, you can freely express your feelings in an ambiance devoid of constraint, where freedom is perfectly respected and shared within the couple. The ruler of the Ascendant, Barbara Mori, is Mars. In the sign of Cancer, it enables you to grasp the surrounding ambience and impressions as if you were an emotional radar. Therefore, you may shift from enthusiasm to boredom or rejection, should you subtly sense that you are appreciated or spurned, even though your feelings are unfounded. It is difficult to find a more sensitive person than you, Barbara Mori. You are able to contain your aggressiveness and it may be hard for you to exteriorize your feelings. You are usually passive and you draw your strength from inertia and resistance more than from the will to take action. Your mood is changing, you show little of yourself and you may surprise with your inopportune reactions that come late, when people have forgotten what it was all about. The only area where you express yourself with zeal and where your actions are successful is the area of home or, more symbolically, in the fields where you can achieve security. In other words, you need to feel comfortable before you can move, in concrete matters as well as in sexuality. This text is only an excerpt from of Barbara Mori's portrait. We hope that it will arouse your curiosity, and that it will prompt you to deepen your knowledge of astrology, as well as to visit and use the wide range of free applications at www.astrotheme.com. Your Life Path is influenced by the Master Number 11, Barbara, which indicates a strong, demanding, and uncompromising destiny. It is all about revelation and early calling. You feel that you are entrusted with a mission, with the certainty that no setback could endanger it, and your own certitudes prevail over any other motivation. You have a lot of strength, and sometime, intransigence. Short-lived fashions and life vagaries cannot weaken your beliefs. You pursue a set direction, in quest of an extraordinary destiny, with the help of your intelligence, your inspiration and the natural influence you have over people. Even though your entourage may not always understand your secret determination and perceive you mainly as an impatient person, your fortitude overcomes many a doubt and obstacle. You can sacrifice everything for the sake of your deep aspirations.